What do you dream? 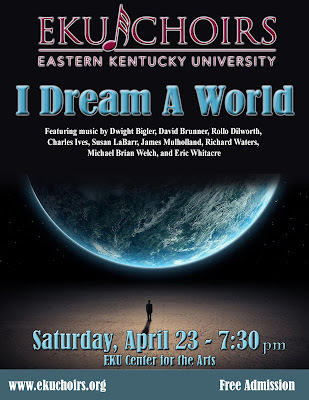 Our spring concert, I DREAM A WORLD, will explore the theme of dreams, from the childlike and whimsical to the heartfelt, mystical, and hopeful. Each choir will present a different setting of the popular Langston Hughes poem, and will feature music by David Brunner, Rollo Dilworth, Charles Ives, Susan LaBarr, Eric Whitacre, and more. 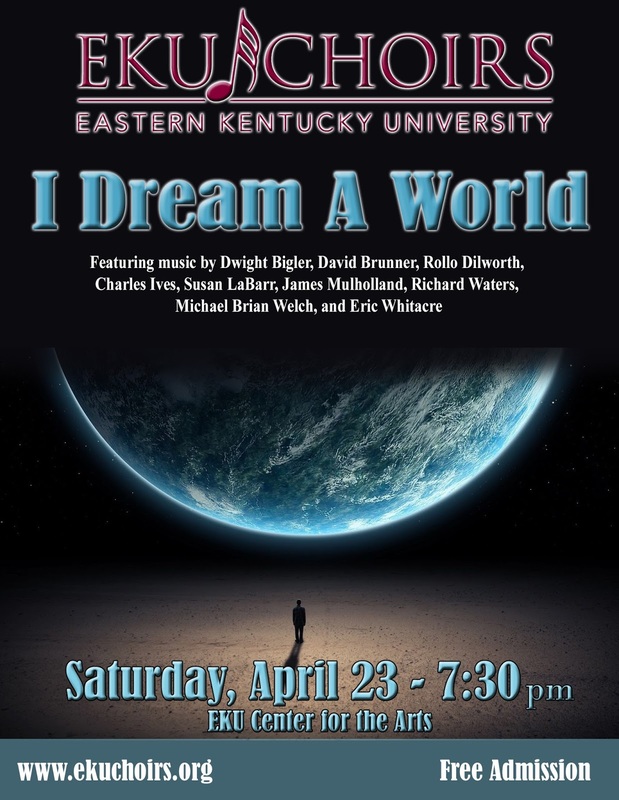 Please join us at the EKU Center for the Arts on Saturday, April 23 at 7:30 p.m.